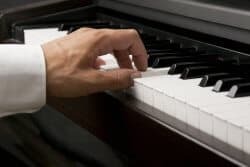 It is fundamental to learn how to keep your hands in a relaxed hand posture, as well as how to sit with the correct posture, when learning to play the piano. to help make your playing as effortless as possible, so that you can focus on making beautiful music instead of struggling to find your way on the piano. This might take some time to build up, but an advantage as an adult beginner is that our hands can keep the desired “cupped” position easier than a child’s hand! Even though we as adults can feel a bit stiff at first, be patient! It will improve with practice. Recommended: A really useful piano book with exercises, especially for adult beginners, is Finger Aerobics. You will learn proper hand posture as well as many other finger exercises. Your knuckles will form an arch that support your fingers, and help you balance the weight all the way out to the finger tips for dynamic control among other things. Your wrists should be neither too high, neither too low, aligned with your arms and the keyboard. 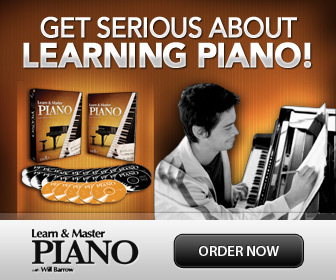 The proper hand position for playing the piano is also the most relaxed. Try this: Let your arms hang down totally relaxed. Observe how your fingers naturally curve. When your hand is at ease, the fingers curve naturally into the cupped position we want when playing the piano. Sitting at the piano, hold your arms out in front of you with your palms up. Your upper arms should hang loosely from your shoulders. Don’t push them forward, outward or anywhere, just let them hang. Relax your hands totally, shake them slightly. See how the fingers curve? Now flip the hands over on to the keyboard and let them loosely land on the tips of your still relaxed and curved fingers. Help your little fingers (nr.5) up on the tips, and Voilá! The proper hand position is ready. The previous exercise was very easy, right? Now, the problem in the beginning is how to keep your hand posture as you are playing. Well, just be patient with that. It will take a little time before you can naturally keep this position when you play, and it is important not to force anything! Keep in mind that your hands want this position; they "like it" since it is both the most relaxed and give you the most strength and control. 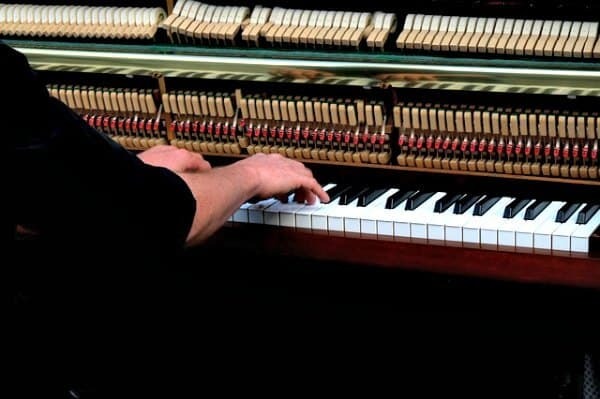 Start by always checking your hand position right before you begin playing and when you finish the piece. Make this a habit. Then check your position whenever you have a longer note or rest. Soon after you have made this a habit, you will hardly need to think about your hand position at all.